Patches was born at the zoo in 1987 and has lived there ever since. Now the staff is preparing to say goodbye. 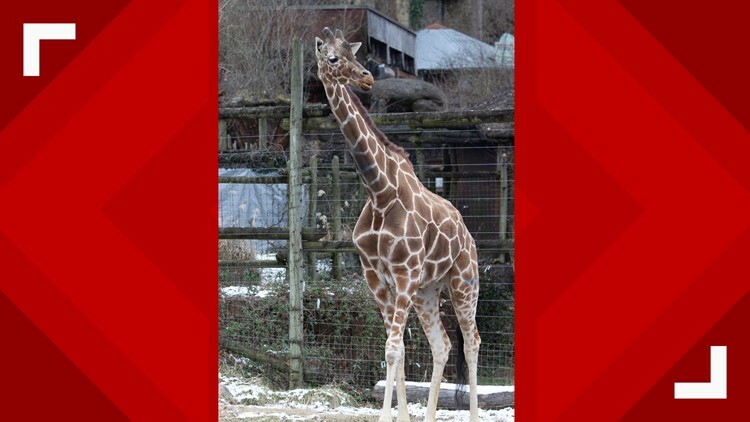 KNOXVILLE, Tennessee — Patches the giraffe, a beloved member of the Zoo Knoxville family since she was born there in 1987, was euthanized Thursday morning. About a year ago, zookeepers first noticed the signs that Patches wasn't doing so well. She began displaying signs of stiffness and was started on medication to relieve what turned out to be arthritis. In the last few months, her physical health began to noticeably decline and her caretakers and the veterinary team from the University of Tennessee College of Veterinary Medicine decided her quality of life had reached a turning point and they made the difficult decision to humanely end her life. Patches had been doing better recently with stronger meds and the warmer weather, but doesn't keep up with the younger animals anymore. Patches has spent her whole life in Knoxville, and was an iconic animal for the zoo. She was born at the zoo in 1987 to parents E.T. and Miss T.
Since then, she's had eight offspring and amazed tens of thousands of visitors. Her youngest daughter Lucille was born in 2002 and still lives at the zoo. Patches was the matriarch of Zoo Knoxville's herd. 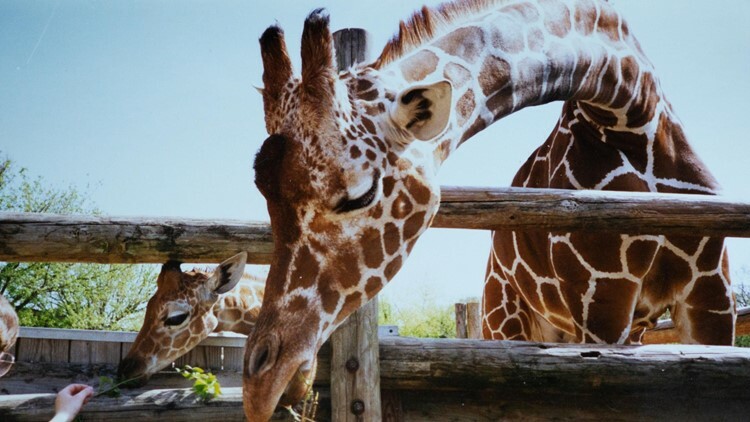 Patches was the oldest reticulated giraffe in the U.S. at 31 yeas. In the wild, giraffes usually live about 25 years, so she had a long life with excellent care by her keepers and veterinarians. “Over her lifetime, Patches was an iconic ambassador. She made it possible for millions of visitors who will never have the opportunity to travel to Africa to experience the beauty and gracefulness of her species. 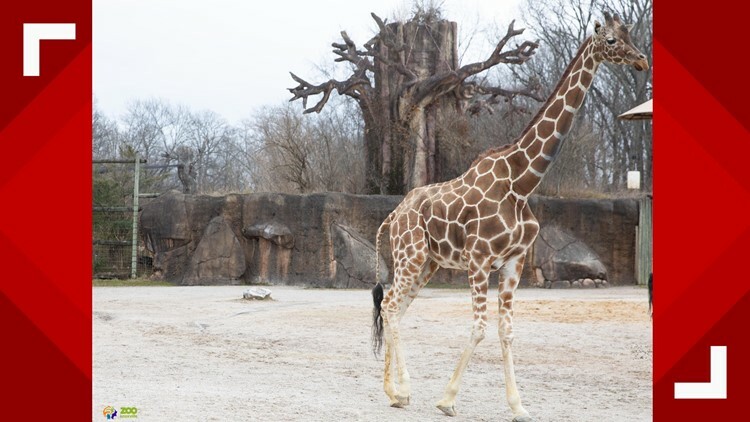 We will always be grateful to her for inspiring our community to care about the future of giraffes and to support the work we are doing to save them,” said Lisa New, Zoo Knoxville President and CEO. The zoo knew that Patches was nearing the end of her life, and spoke about it to 10News earlier this month. When she first started showing signs of discomfort and was diagnosed with arthritis, they knew they could treat the 31-year-old giraffe's symptoms, but there was no cure. "They began to notice that she's been holding a foot up periodically and taking her weight off her foot," Lisa New, the president and CEO of Zoo Knoxville, said. The zoo had been giving her medication to help with the pain---but it's tough to take care of an animal as big as a giraffe. "Its not like we can ask her to walk and turn a corner and see how she does," Veterinarian Dr. Andrew Cushing said earlier this month, "She's not very practical like that." In fact, Patches was downright stubborn. "Giraffes are generally suspicious," Cushing said. "And she is certainly up there." Patches has spent her whole life in Knoxville. She was born at the zoo in 1987 to parents E.T. and Miss T.
Since then, she's had eight offspring and amazed tens of thousands of visitors. Her youngest daughter Lucille was born in 2002 and still lives at the zoo. Vets had been keeping daily tabs on her to try to make sure she was as comfortable as possible as the end neared and the staff was prepared to say goodbye to the oldest living giraffe in the United States. "I think we want to do what's right for Patches," Cushing said earlier this month.